Calculations form the basis for engineering practice. Engineering researchers, instructors, students, and practitioners all need simple guides for engineering calculations. Although several books are available in the market for general engineering calculations, none is available directly for industrial engineering calculations. This book is designed to fill that void. 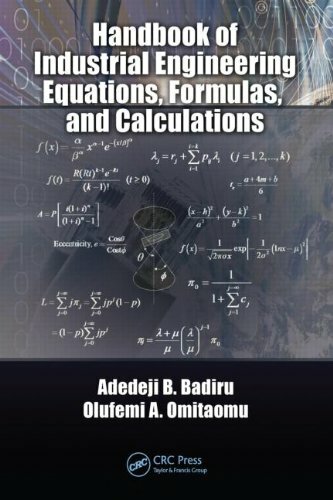 It presents a general collection of mathematical equations that are likely to be encountered in the practice of industrial engineering. The book is unique in the market because it is the first book of its kind to focus exclusively on industrial engineering calculations with a correlation to applications for practice.